If you’re shopping around for a new vehicle, the Nissan Altima definitely deserves a place at the top of your must-see list. The newest edition of this perennially popular mid-size sedan is packed with an array of accessories and amenities that are designed to make taking to the road a pleasure for business travelers, commuters and families alike. 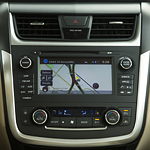 The Altima is outfitted with comfort, convenience and safety in mind. Remote starting capabilities, a highly adjustable driver’s seat and multiple USB charging ports all come standard as does a pre-collision warning system and automatic emergency braking. Seating options include leather and fabric upholstery in a range of smooth neutral shades. Exterior feature packages offer a variety of lighting, trim and wheel choices that provide each owner with the opportunity to create a completely customized look.